In a world first, the Scion Forest Genetics Team in collaboration with Massey University has completed a draft assembly of the radiata pine genome. At 25 billion base pairs, the radiata pine genome is eight times the size of the human genome, and its sheer size was a substantial challenge to researchers. “A complete genome assembly means that we now have the instruction book for how radiata trees grow," says Dr Emily Telfer who leads the project. This milestone marks the beginning of a post-genomics era and opens the door to a new era of precision forestry. Following assembly, the next steps will involve understanding the role each piece of the genome plays and eventually, how those pieces can be manipulated faster and more precisely to produce future generations of forest stock. Armed with this knowledge, the forestry industry could more easily breed trees with highly desirable characteristics. Emily explains, "Currently it takes decades for us to breed new characteristics into trees. Once we better understand the genome puzzle we will be able to produce superior trees much more quickly." Another major advantage will be in mitigating the effects of climate change and disease. As environments alter with climate, diseases not previously found in New Zealand may establish and threaten our forests. Emily says that thanks to genomics we will be able to identify genes for drought or disease resistance and establish them within the wider population much faster. The genome assembly will also benefit the international scientific and forestry communities. Radiata is the backbone of New Zealand’s forestry industry, but it is also the most domesticated pine in the world and is grown commercially in Australia, Chile, Spain and South Africa. "Now the real work begins," says Emily. "We've already begun our second draft assembly and the next step will be to begin the task of deciphering what each of the DNA segments relates to in physical terms". 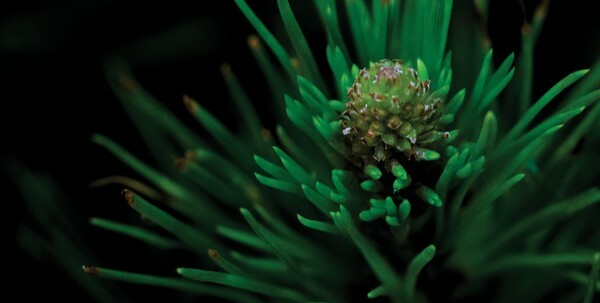 The genome assembly began in 2013 and, with assistance from the international conifer genomics community, was completed in September 2017 using Scion’s newly acquired high-capacity computer server – the largest of its kind being used for genomics in New Zealand. The official announcement of the first draft genome assembly was made at the Forest Growers Research Conference in Christchurch in October.